When you arrive in Istanbul, the first thing you must do is visit the most historical, and thus the most popular, tourist sites. Arrive very early to avoid the crowds, as these monuments should be experienced in at least a slight bit of peace. First visit the HAGHIA SOPHIA (Sultanahmet Meydani), one of my favorite buildings in the world. This historical architectural wonder has had three incarnations. Originally an Orthodox basilica, later a mosque, and now a museum. Famous in particular for its massive dome, it is considered the epitome of Byzantine architecture and said to have taken architecture in a completely new direction. It was the largest cathedral in the world for nearly a thousand years. The current church was built in 537, on the orders of Byzantine Emperor Justinian. In 1453, when the Ottoman Turks conquered Constantinople, Sultan Mehmed II ordered the building to be converted into a mosque. It remained one until 1935, when it was converted into a museum by the new Republic. 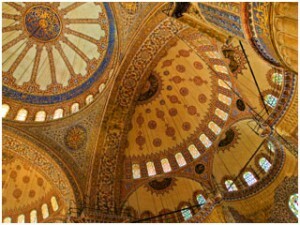 Must-sees are the nave, the gallery, the columns, and the magnificent dome covered in millions of gold tiles. The dome is breath taking. In the very center of the dome is a golden sun with rays extending to the edge of a circle. It is surrounded by a much larger circle decorated with golden Arabic writing. Cross the street to the BLUE MOSQUE (Sultanahmet Meydani) where you’ll know the purpose of its name when you see the blue Iznik tiles found inside. There are over 20,000 of them. The 19-year old Sultan Ahmet Camii, who commissioned the mosque, banned everyone from ordering the blue tiles until his order was filled. 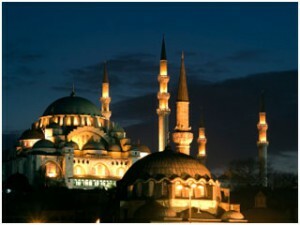 Sultan Ahmed wanted to build a large mosque to placate Allah. It would be the first imperial mosque to be built in more than forty years. Finally take a short walk to the famous TOPKAPI PALACE (Babihumanyun Cad), the home of Ottoman sultans and their harems. Construction started for this abode for Mehmet II in 1459. He wanted to make it as a series of pavilions with courtyards to pay tribute to his nomadic ancestry. It continued being the sultan’s palace until 1853 when Abdülmecid I moved the royal residence to Dolmabahce Palace. Don’t miss the cavernous harem, where wives, concubines, and their children once lived, and the Treasury, where you’ll find a huge array of wealth as well as an amazing collection of miniatures and manuscripts next door. Unwind at the Cagaloglu Hamam. You’ll feel like you’re in a scene from 1001 Nights. 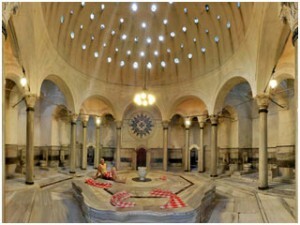 The traditional steam room is beyond spectacular and hasn’t changed since it was built by the Sultan Mahmut I in the 1700s. There are many other Hammans throughout the city, as they are quite popular amongst locals. As such they can get quite crowded so be prepared for a wait. First you’ll relax in a warm room where you’ll begin to perspire. Then move to a hotter room, after which you’ll splash yourself with cold water. After a shower and a massage, retire to the relaxation room. One of the most joyous things you can do in Istanbul is cruise the Bosphorus, which links the Sea of Marmara with the Black Sea. The water is bustling with life and dotted on the shoreline you’ll see palaces, nightclubs, and restaurants. The easiest way to do this is take the ancient ferry and mingle with the locals. It takes 20 minutes to cross, going from Europe to Asia. There’s also a slightly Gezi Seferleri (www.ido.com.tr) offers service from Eminonu Dock to Anadolu Kavagi. If you take this option, definitely wait for sunset. 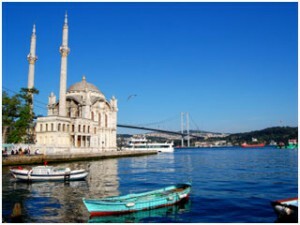 And if you have the funds rent a boat from one of the companies called Istanbul Tours (T +90 212 458 2191, www.allistanbultours.com) or (T +90 212 2257670,www.toursistanbul.com). If you’d like to book a boat yourself, head to the waterfront from Kuruçeşme to Arnavütköy and look for signs that say “Kıralık,” which mean “for rent.” Having your own boat is the easiest way to explore the former fishing villages that line the Bosphorus. They are much quieter and laid back. One of the prettiest villages to visit and easy to access even without a boat, is Ortakoy, located at the base of Bosphorus Bridge. This is the former imperial Ottoman summer palace constructed during the reign of Sultan Abdülmecid I in the mid-19th Century. 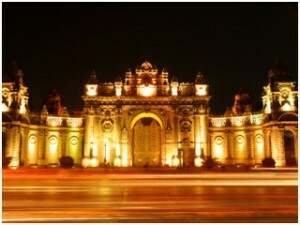 Close to the famous Dolmabahce Palace, and much quieter, you’ll find a world that might remind you of Versailles. Explore the lush gardens and then have a coffee or tea in the garden and relax away from the bustling city. Completed in 1855, the imperial family moved here from Topkapi Palace and remained the royal residence for four centuries. Designed by Sechan, the French decorator who worked on the Paris Opera, the interior of this ornate building is quite impressive. You’ll see golden celings, a staircase supported by crystal balustrades, and a harem, amongst other delights. Take a guided tour and then have a coffee in the clock tour. Take a ferry, and a break from the city, to Prince’s Island for the day and experience the deserted beaches and ancient monasteries. Head to Buyukada where you can explore the island by walking or with a horse and buggy, or donkey. No cars are allowed. Here explore St. George’s Monastery on the hilltop, where you’ll find great views and an excellent restaurant. 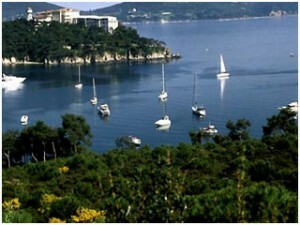 Or I suggest heading to the smaller Burgazada island where the famous Turkish writer Sait Faik lived. Explore his tiny museum and the Church of St John the Baptist. Walk to the Kalpazankaya Restaurant which boasts a statue of Sait Faik and an amazing view of the Marmara Sea. Beyazit Square Considered the greatest accomplishment of Mimar Sinan, this mosque was completed in 1557. It’s built on the highest hill in Istanbul so you can usually see it while touring the city. The mosque was commissioned by Suleyman the Magnificent who is said to have had a beloved slave-wife, and their graves are found side by side in the mosque cemetery. After viewing the amazing 36,000 square property, you can rest and replenish at one of the teahouses and a lovely restaurant located in the buildings close to the south entrance.